SOURCE: Richard Powers, courtesy of Tourism Australia, the tourism promotion authority of the government of Australia, used with permission. 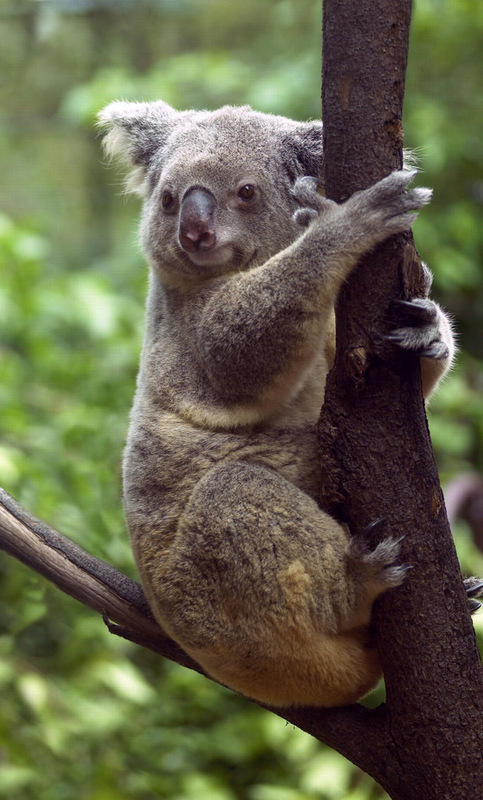 The Koala is found in coastal regions of eastern and southern Australia. It is an arboreal, marsupeal herbivore, with a slow metabolism, and sleeps for most of the day. The Rainforest Habitat Wildlife Sanctuary, located in Port Douglas, Tropical North Queensland, is a wildlife park, and world leader in mixed immersion exhibits, built on eight acres of land that has been recreated to provide a window into our natural environment.